Even in high school, Jason knew he wanted to pursue a career in Accounting. After lobbying to take the accounting course through a self-taught class, he has never looked back in pursuing his career as a public practicing accountant. 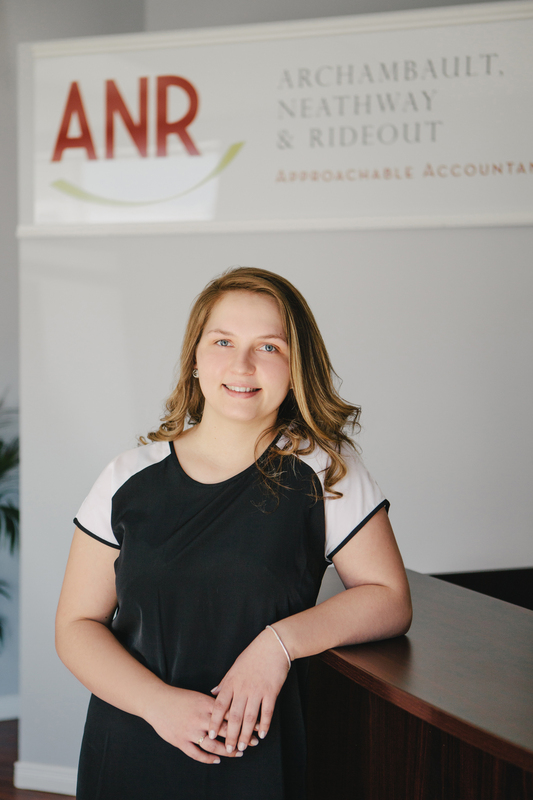 Upon graduating from UNB Fredericton with a Bachelor of Business Administration with a Concentration in Accounting, Jason turned his focus on his Chartered Accountant designation. Jason successfully completed his Uniform Final Exams (UFE) in the fall of 2003, he received his CA designation in February 2005 upon completion of his public practice requirements. Over the next eight and half years, Jason worked with Deloitte LLP in their Saint John office, focusing on providing Owner Managed businesses, their shareholders and individuals with tax compliance and planning services. During this time, Jason completed the CICA In-Depth Tax Program and moved on to be a Facilitator for the course within the Province of New Brunswick for two years. Jason has also completed the CICA Advanced Tax Issues for the Owner Managed Business Taxation course, which provided a knowledge skill set to assist with compensation planning, corporate reorganizations, mergers and acquisitions and business succession planning. Jason’s commitment to providing a superior client experience has driven him to further expand his knowledge base and during 2010 and 2011, Jason enrolled in the Diploma program of the Society of Trust and Estate Practitioner of Canada. Jason completed courses in the Law of Trusts, Will, Trust & Estate Administration and Will & Estate Planning. On his final course, Will & Estate Planning, Jason received the honour of Highest Course Mark in Canada for 2011 and was presented the award at the 2012 STEP Canada Conference. Jason received his TEP designation in February of 2012. Jason’s favorite quote comes from Abraham Lincoln: “The best way to predict your future is to create it.” and that is what he did in February 2012. 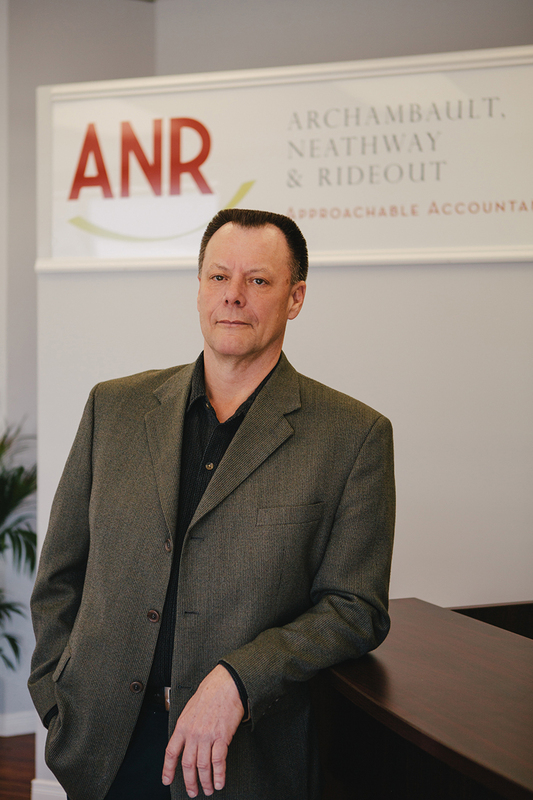 Jason joined David Archambault and Laurie Neathway as a Partner to form the accounting firm of Archambault, Neathway and Rideout in his hometown of St. Stephen, NB. 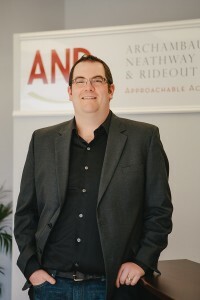 The firm has built a reputation of being “Approachable Accountants” and provides service to Owner Managed businesses and individuals. Jason utilizes his skill set to assist his clients with tax and estate planning. “Having my TEP designation allows me to provide knowledgeable advice to my clients and it is rewarding to see how my involvement can help that client.” Jason currently holds the position of New Brunswick Representative on the STEP Atlantic Board of Directors. Jason believes that it is important to be involved in the community in which you live and he has served on various committees and organizational boards. Jason recently held the position of President of the St. Stephen Development Board, which launched the new brand, Middle of Everywhere for the Community. Jason also served on the St. Stephen Area Chamber of Commerce Executive for six years, holding the position of President in 2011-2012. Jason is also the President of the St. Stephen Horseshoe Pitchers Club, a grass roots organization started in 2006 and under Jason’s leadership hosted the 2015 Canadian Horseshoe Pitching Championships in St. Stephen at the Garcelon Civic Centre. Jason resides in St. Stephen, NB with his wife, Barb and their two daughters, Claire and Regan.